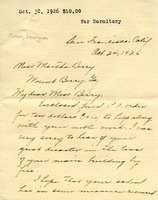 H. J. Kaltenthaler responds to Miss Berry's plea with $50. 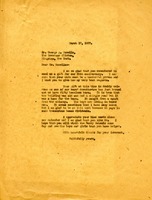 There is a note on the bottom to Miss Bonner to ask the bank for the donor's name and address. 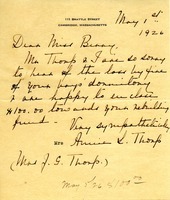 Mrs. Thorp are sorry to heart about the dormitory burning down and send $100 to help rebuild a new one. 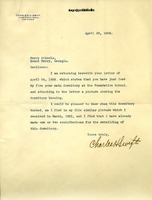 Charles Swift writes to the Berry Schools noting he had already made a contribution to the rebuilding of the burned dorm. 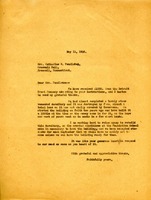 F.A. 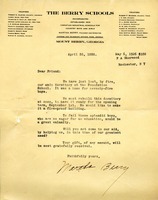 Sherwood donates $100 to the Berry Schools. 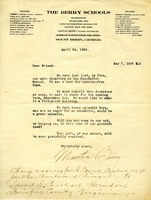 Miss Georgia M. Simon regrets to hear about the loss of the main dormitory and sends a check for $10. 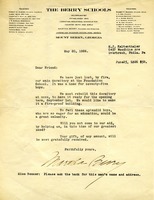 A family sends the Berry Schools a donation after the loss of a dormitory. 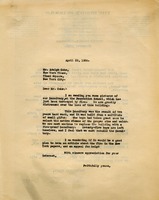 Letter talks about the cost and status of the burned Foundation School's dormitory replacement. 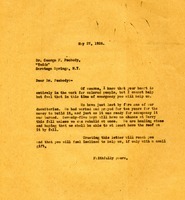 Letter to George F. Peabody from Martha Berry asking him to make a contribution to the schools in order for them to rebuild the dormitory that burned down. 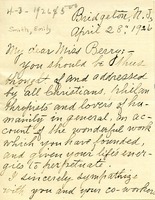 Letter praises Miss Berry for her Christian work, and provides a gift to help replace the burned boys dormitory. 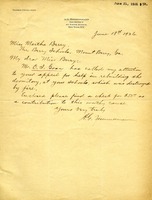 Edward E. Paschael sends a small donation and corrects his address.